Free tax software and free e-filing for federal returns are here: The IRS has opened its Free File portal, which offers handy links to all the top vendors—provided you don’t make that much. 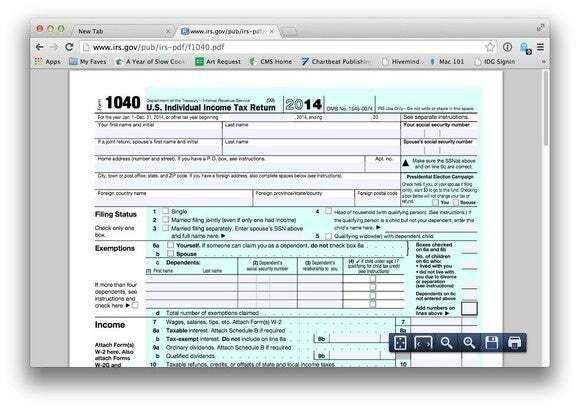 The Internal Revenue Service said Friday that its e-filing system is open for the 2014 tax year. U.S. taxpayers can e-file their taxes either by using online forms the IRS itself provides, or choosing from Free File's fourteen tax preparation services, including name brands like H&R Block. Taxpayers can also file their own taxes using pen and paper, of course. The IRS says that it is committed to processing 9 out of 10 refunds within 21 days. But the IRS also said that due to budget cuts, paper filings will take an additional week or so to process. The agency also said it expects hold times to speak with an IRS agent to stretch to 30 minutes or more. If you have questions, the best place to start would be the IRS website. Why this matters: Free tax help from trusted names in tax preparation is always a comfort when crunch time kicks in. The 14 names on the list include some of the biggies: H&R Block, Intuit’s TurboTax, and Jackson Hewitt, among others. But the more obscure tax services—Free1040TaxReturn.com is a good example—offer the fewest restrictions to signing up. That may give some of you pause. The Free File list of tax preparation services does have some caveats, however. In general, you’ll need to make less than $60,000 in gross income for 2014 to qualify. Some of the most popular services have even tighter income restrictions: TurboTax requires you to earn less than $31,000 to qualify, for example. In some cases, there are age restrictions. Those who own a home, earned a hefty salary, or have a broad array of investments may be ineligible for the free services, and may have to sign up for a paid service. The services aren’t available in all states, either, so be sure to check whether you’re eligible. And, of course, you’ll still need to file a separate state return. Free filing options will vary from state to state. Interestingly, California has a state tax e-filing program called CalFile, but you’ll have to hunt down any references to third-party tax sites. Tiny, sparsely populated North Dakota makes it much easier, as does New York, although the New York site wasn’t open for business yet at press time. Also keep in mind that 2014 was the year that the Affordable Care Act was enacted. In many cases, you’ll simply have to tick a box stating that you and your dependents had health insurance for the year, the IRS said. Some states provide a list of independent, authorized tax professionals, as California does. That’s always an option if you prefer to deal with a live human being, rather than a computer. Volunteer Income Tax Assistance and Tax Counseling for the Elderly (VITA/TCE) programs can help, especially with questions about the new healthcare laws. Whatever you decide, you have until Wednesday, April 15 to get it all done. Good luck!